Designed by Clough Williams-Ellis, the village of Portmeirion in north Wales is one of Tim's biggest photographic projects, seeking to capture the endless changes in light, colour, mood and season. You'll often find Tim out and about long before anyone else is awake, just waiting for the perfect light. More images are being added to this collection on a regular basis so check back soon. 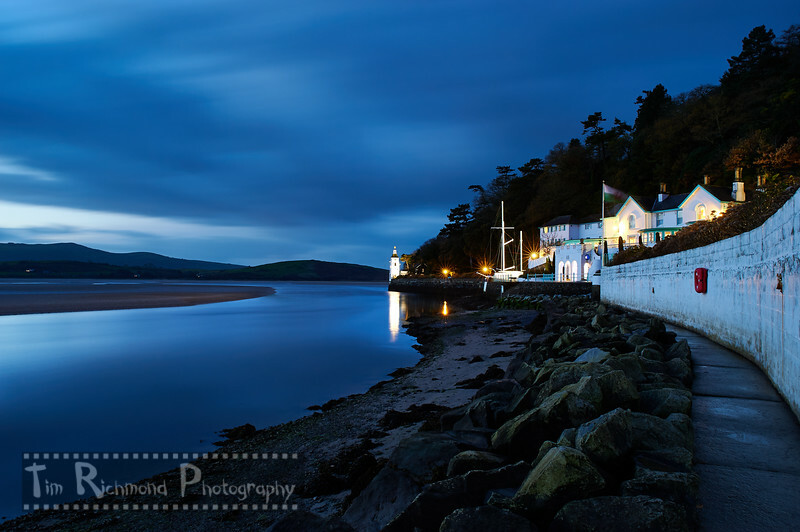 In addition to this collection of images, there is also "The Portmeirion Buildings Tour In Pictures" available to view from the "Gallery" tab. November 2017, 6:43am walking along the path from the Grotto down to the Hotel, what a view!